Jessie Graff is a stuntwoman whose credits include the Transformers movies, Sons of Anarchy, and Supergirl. 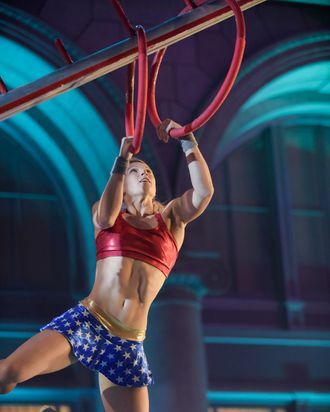 She’s currently competing on her third season of NBC’s American Ninja Warrior and she’ll run stage one of the Vegas finals in her trademark Wonder Woman costume on August 29. A former pole vaulter at the University of Nebraska, she’s a black belt in tae kwon do and kung fu and lives in Calabasas with her pet pig, Sammo. “My dream since I was 12 was to be an action hero on TV,” Graff told the Cut. She talked with us about seaweed, rock climbing, and competing against men. How I start my day: I typically have coffee first thing. I use one of the flavored Keurig cups and instead of creamer I add a chocolate protein shake — I really love mocha lattes. The label says however many vitamins and minerals and nutrients [it has], and it has protein, so it’s giving me some of what my body needs. I’ll have my coffee and share a carrot with my pig. She is the cutest. I love her so much. How I like to sweat: I love running, but so many of the skills that I work on are high impact. After I had ACL surgery, I got an ElliptiGo, an outdoor elliptical bike, and I found that it’s better for me to do every day. There’s a one-mile hill behind my house and I just ride the ElliptiGo up the hill as fast as I can. It’s more similar to the running range of motion than a bike is. I ride back down, then maybe I’ll do an ab routine. Doing my favorite #abworkout with my favorite #pig @sammohog. I still can't explain why holding the stick (or in this case, a nerf sword) makes it so much harder, but it does. I have a lifting-slash-injury-prevention program that I do pretty much every day no matter what. It’s a three-day cycle: very standard push day, pull day, and leg day. I just rotate that. And then it depends on what day it is. If someone calls me and says, “Hey, we’re doing martial arts in the park,” then I’m dropping whatever I’m doing to go train in the park for two or three hours and do fight choreography. 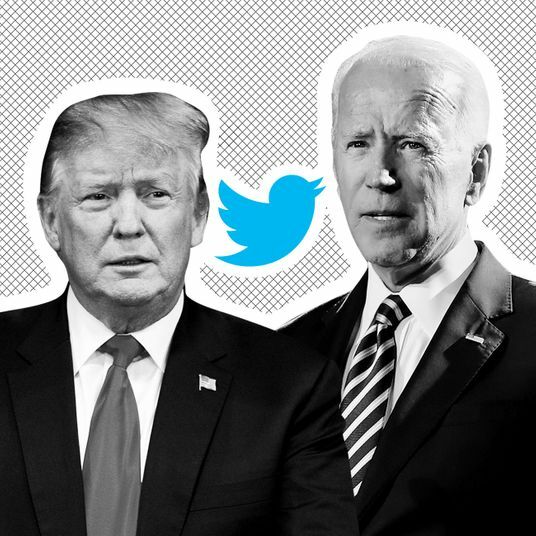 On occupational hazards: With stunts we do tons of whipping our head in different directions so it looks like we’ve been punched in the face and that’s awful for your neck. I do exercises to make sure my neck is strong and in good alignment so that I don’t have long-term damage there. On designing my costumes: In 2015, I’d just auditioned to do stunts on Supergirl, so I picked an outfit that implied Supergirl [a red sports bra and blue skirt]. This year I was like, “Who’s another iconic female superhero?” And Wonder Woman seemed like the obvious choice. I designed the skirt and my friend put it together. The bra is from a dance magazine, but I didn’t like the straps so I detached them on one side and crisscrossed them a little differently. It’s hard to find the sparkly stuff. Why I lift even though I hate it: I hate lifting, but I know that most of the activities I do are kind of unbalanced. if I’m rock climbing and I’m going a certain route, I might be pulling more with one side than the other, or if I’m doing straight pull-ups and I’m working in a certain range of motion. But I want to be strong in every direction. In stunts, if I go flying in a weird direction, I don’t want to have a gap in strength. On at-home workouts: I have a rock-climbing wall and some hanging obstacles at home. I do most of my conditioning — push-ups, pull-ups, lifting — in my living room. I watch Netflix marathons while doing the most boring workouts. It keeps me entertained and then I can stay up-to-date on all the action TV shows. And the pig is running around, too. My food philosophy is: I focus on what I do need to put into my body, rather than what I’m not allowed to have. I try to pack in as many colorful and dark, leafy greens and vegetables as I can and I focus a lot on making sure I get enough protein. I try to do both of those at every meal, but vegetables aren’t always convenient so I’ll carry around seaweed snacks. I also have whole grains and fruit in moderation. How wellness has changed for me: Hollywood in general is very caught up in images, and if you hang out at the usual gyms, you’ll hear a lot of people talking about crash diets and getting skinny, and unhealthy ideas around fitness. I used to focus a lot more on intentionally trying to stay thin for work. I cut back on strengthening exercises that I was afraid would make me bulk up, and did tons of cardio. I lost strength, but not size, and never got the effect I wanted. In the past two years I’ve shifted my focus to being as strong, stable, and capable as I can possibly be. It’s amazing to see how when I’m working on being strong, I ended up getting thinner and leaner anyway. It’s a healthier mind-set to stay focused on the skills you want to be able to do, and getting strong enough to do those skills, and everything else falls into place. On mentally attacking the Ninja course: You have to be so confident in yourself that you can take an honest assessment of all of your weaknesses, and everything that could possibly go wrong, so that you can predict it, plan for it, and hopefully prevent it. I adjusted my training to stamp out every weakness that the course has revealed to me so that each one makes me stronger and more confident. When you get to Vegas, in the final round there’s usually a two-and-a-half-minute time limit, so you have to go really fast. I’m trying to get more comfortable bounding straight through things and correcting any miscalculations on the way. It’s a lot scarier, it’s a bigger gamble, but it’s fun to practice. On competing alongside men: I love competing in a sport where, even though I will never be able to lift as much weight as a man who works out as much as I do, I can beat him with technique and strategy. Too many women believe it when they’re told, “You can’t do that, you’re a girl.” I love that I can be a part of defying that concept.